We live in an age of the disposable. Cameras, smartphones, computers — those are the items one typically thinks of because most people go through at least one of those items every year. When you consider the fact that there are three hundred million people living in the U.S. alone… well, there are billions of these devices in landfills, to the point that it’s becoming a serious environmental hazard. Kind of sad, isn’t it? But it doesn’t stop there. In a city like Las Vegas, companies think nothing of bulldozing a billion-dollar resort in order to clear the way for something larger, newer, or more exotic if it improves business. I lived there for a number of years and saw this axiom played out time after time. There is no history in that town beyond that which is captured on film or in the memory of those who see it with their own eyes. Even people are expendable in today’s world. Reach a certain age and it’s extraordinarily difficult to find a job — or keep the one you already have. Airline pilots are done the day they turn sixty-five (happy birthday!). Until recently it was sixty. Even in the charter business, you can feel the door swinging toward your posterior by the time you reach that age because the international nature of our travels means we are at the mercy of the most restrictive rules in the worldwide pantheon of aviation authorities. 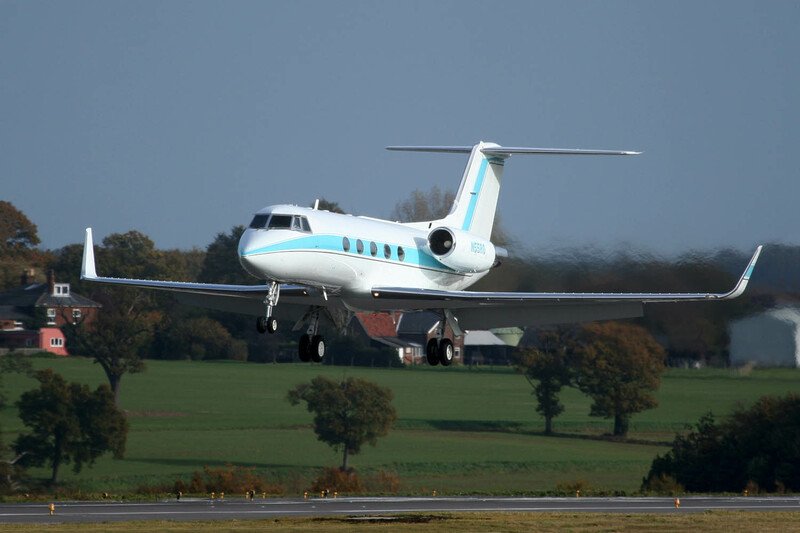 When it comes to aircraft, you’d think a classic, finely-engineered and impeccably maintained business jet with a proven history of safe flight, a plane capable of reaching stratospheric heights and cruising near the speed of sound, might be an exception. Not only is this nearly same capability you’d get out of a new aircraft costing a fifty times as much, but these flying works of art are also relatively rare. There are perhaps ten thousand airworthy equivalents in existence. Compare that with the 200,000 or so automobiles that are manufactured each and every day worldwide. Unfortunately, the reality is that even if you want to keep flying that aircraft, you can’t. They won’t let you. It’s too loud, burns too much fuel. By 2016, airplanes like that will either be relegated to Africa and other places without stringent noise bans, or become the world’s heaviest paperweights. Enter today’s subject, a beautiful 1966 Grumman G-1159 — better known as a Gulfstream II. This aircraft is serial number 1, the first business jet turned out by the famous Grumman Iron Works at their Bethpage, NY facility. This airplane has a fascinating history. Beyond being the first in a half-century-long line of Gulfstream turbojets, N55RG has the unusual distinction of being both a prototype and a production aircraft. It was refurbished after the test program ended in 1968 and sold to Motorola CEO Robert Galvin, who owned the airplane continuously for the next 44 years. Circa 1968. N55RG started life as a Grumman prototype and company aircraft N801GA. This was the first “large cabin” business jet ever built. If you know anything about aviation, you’re probably aware that virtually nobody owns an airplane for 44 years. Not governments, not companies, not airlines, not even individuals. It’s not like a classic Mustang or similar collectable car that you can afford to leave in the garage. Gulfstreams and others of it’s ilk change hands frequently because the cost of simply owning one is so high that even for those who can afford them, it’s just not feasible unless you’re actively using it. A G-II can be purchased for a few hundred thousand dollars in today’s market. And ironically, the phase-out of Stage II jets has dramatically dropped the cost of maintenance on the Rolls-Royce Spey-powered Gulfstream IIs and IIIs. That’s the exact opposite of what usually happens as aircraft enter their dotage and parts supplies start to dry up. 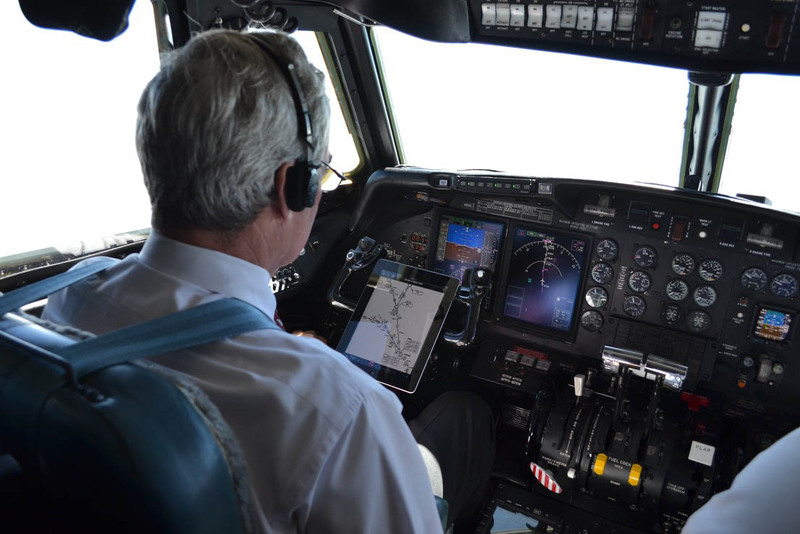 Vann White, CEO of GIII operator Nonstop Aviation in Boca Raton, Fla., says that his overhaul costs have dropped significantly in the last few years. In December 2010, White sent out a single Spey for a 10-year, 4,000-hour mid-life inspection costing $692,000. Today, he says, he can do two engines with that same vendor for less than $800,000. I can’t help but think that without the Stage II ban, there would be a significant market for these capable and proven airframes at these price points. They’re so stoutly built that they’d make fantastic candidates for the emerging general aviation rebuilt & retrofit market that I’ve talked about in the past. Galvin obviously loved his Gulfstream. Not only is the airplane in fine mechanical shape, but significant upgrades have been made over the years in upgraded powerplants, SP winglets, hushkits, and avionics. Even the total time on the aircraft — 9,500 hours — tells a story: it received regular, but not harsh, usage. I’ve flown Gulfstreams less than a decade old that have more time on them than that. A forty year-old airliner would undoubtedly sport more than 100,000 hours, if they even operated them that long. 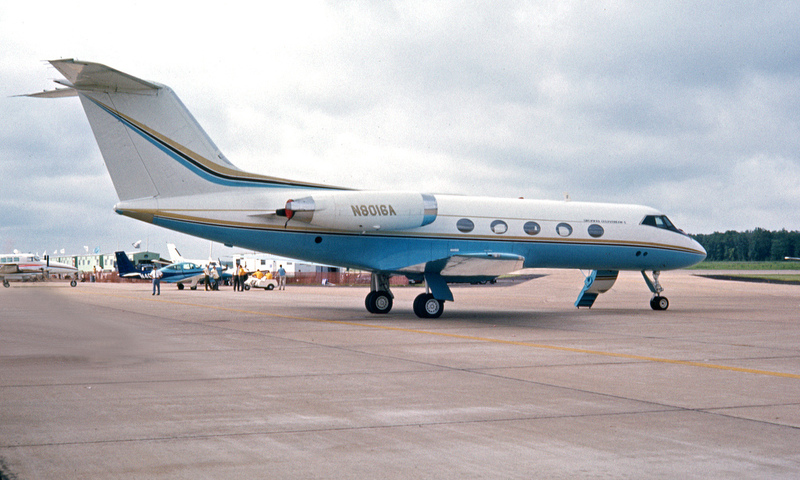 It seems fitting that the original Gulfstream should have enjoyed such a long life in the skies. Alas, all good things must come to an end. Mr. Galvin passed away in 2011, and in keeping with his wishes that N55RG evade the scrap heap, his family donated the aircraft to the Carolinas Aviation Museum a year later. CAM is best known as the final resting place of the world’s most famously inadvertent seaplane, a US Airways Airbus A320 which was successfully ditched on the Hudson River in 2009. In September of 2012, Matt Birch, a photographer and air traffic controller in London (UK), was invited along for N55RG’s final flight and documented the journey in photos. He later wrote an article for Gulfstream’s “Waypoint” magazine as well. N55RG alighting at London’s Luton Airport. Mr. and Mrs. Galvin were flying in to have dinner with the royal family. Before the aircraft was donated to the museum in Charlotte, we converted her back to the original configuration. Gulfstream put the original engines back on, and they did it for free. Norm Hill from California had the exact original cockpit from a G-II being scrapping, so he replaced the glass with original equipment. Mrs. Galvin wanted me to take all the original dishes — very old china & real silver flatware — and put it all back on N55RG. Everything that was done from museum to engines to cockpit, I was given free reign to get accomplished. It made my job easy not having to get approvals, and I only answered to Mrs. Galvin. Only after everything had been completed was N55RG donated. At the moment, the jet remains in storage at an FBO near the museum. One can only assume they’ll put her on display in the not-too-distant future. I hope when they do select a place to show off this historic machine, it will be a protected, indoor location and not an open-air spot on the ramp. No matter how tough they build ’em, Mother Nature can disassemble an airplane in short fashion when they’re left outside to rot. The Gulfstream line really is a marvel. Consider: not only did Grumman invent the large-cabin business jet, but they pioneered a plethora of design features in serial number 1 which are still being put into the jets that Gulfstream Aerospace builds today. The internal baggage compartment, the large oval windows, the cockpit layout, the bullet-shaped nose, and of course a perfectly smooth wing bereft of any leading-edge devices, external flap tracks, or other protuberances. Even the clean-sheet G650 retains those features. While I wouldn’t go so far as to say they’re “everywhere”, business jets of this class are certainly a more common sight today than in decades past. It makes me wonder, when people walk past this aircraft in the museum, will they fully appreciate the significance of what they’re looking at? Great story about a great piece of history. I love to read your stuff! Thanks, Bob! It definitely is a wonder, not to mention the intersection of Grumman and Gulfstream, which covers nearly the whole history of aviation. Another great read. Good job, Ron!! Thanks Jordan! Sorta makes you wonder if the G550 will still be trucking when it’s 40+ years old, doesn’t it? I throughly enjoyed your story. Having known the Galvin family for many years, but alas never having flown on this beauty, I can only imagine the graceful opulence. Thank you for sharing in such a loving way. Graceful opulence is a perfect description. It’s a shame my original post was lost, because the comment section had input from many who had worked on the airplane, known the Galvins, and/or flown the Gulfstream itself. Their stories created a lovely tribute to and picture of the family. Even without that input, the Galvins have my respect for the recognition of the airplane’s significance. To have owned it for so long, taken such great care of it, and even planned to have it preserved says a lot about them. They could have just handed the plane over to a museum as-is, but instead they spent the time and money to convert the plane back to it’s original configuration. I don’t know if any of the Galvins are technically pilots, but they’re true aviators to me. When I worked at Motorola I was on 55RG and was politely reminded not to sit in Mr. Galvin’s seat. It is a beautiful airplane. Yeah, probably best not to sit in the CEO’s seat! Although if you’re not used to being on aircraft of this type, there’s no way you’d know which seat is typically used by the lead passenger, either. Ron, great story about great airplane. Not many people have the passion to keep the same aircraft for more than 40 yrs. Mr Galvin was very proud of his airplane and passed many opportunities to replace that aircraft with something newer. He truly cherished Serial Number One. Mr Galvin was a fixed wing and rotor wing pilot. He knew his plane well and many times walked to cockpit and asked why we flying so slow, that was M.78, I bought this to go fast was his next statement. 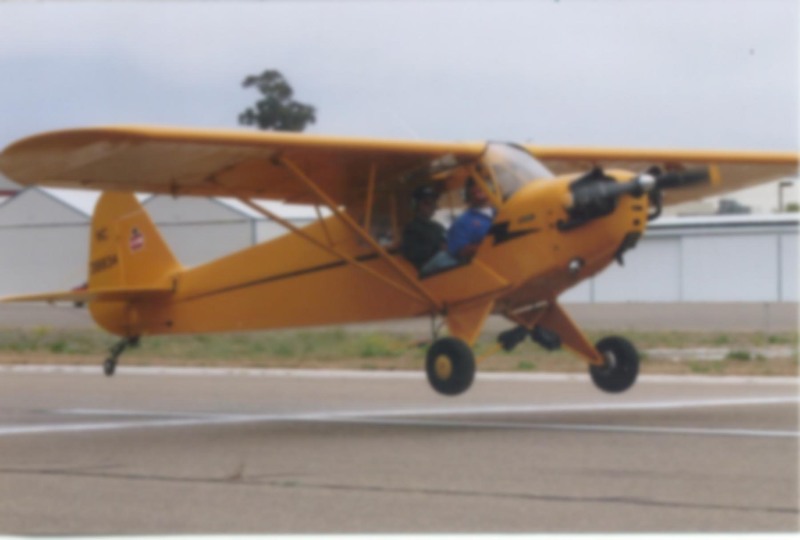 I had the pleasure of flying Mr Galvin’s plane for 15 of my 20 yrs at the Motorla Flight Department. We had Serial Number One all over the U.S., Europe and South America. It was a Pleasure to be a part if it’s history and to fly with Mr. Galvin. Pat, were you flying her back in the late 1970s? That’s when I flew on her to San Jose for my aunt’s funeral. Mrs. Percy was on board too. Mrs. G and daughter Dawn were consummate hostesses. Mr. G was not able to join us. What a memorable flight! Ah, I didn’t know he was a pilot — but it makes sense, because it explains the emotional connection to the aircraft. You can see it in the way it was cared for and upgraded. It was a special airplane, and even more so because of how he owned and operated it. If you knowtis it doesn’t have the APU exhaust shroud/protect from the heat and duty and discoloration of the APU. ASC I can’t remember. Yeah I can’t keep track of all the ASC numbers either. There are so many of them! In 1967 my mother went to work for Grumman, in Savannah Ga. working at the plant were they started the production line for the GII. I started to work there in February 1973 at 18. I worked in major assembly on airframe sections for Fuselages 129 – 139. Left and came back in 1975. 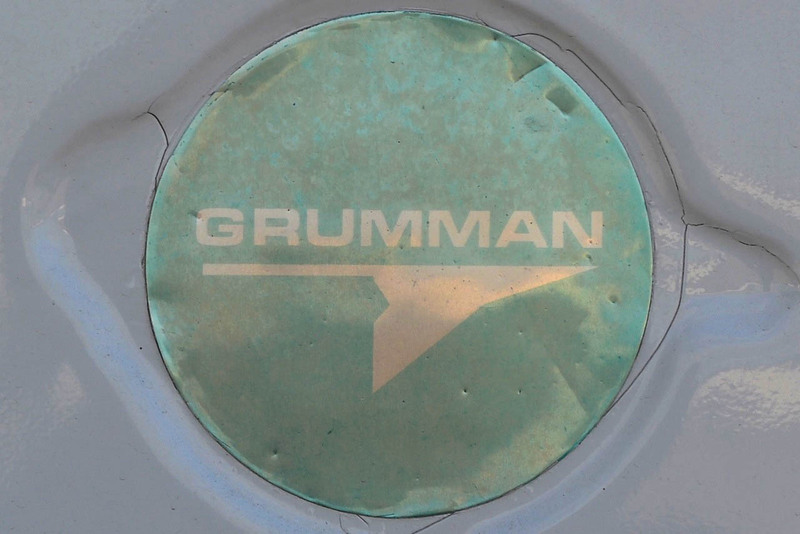 Grumman gave me my 11 months so I’ve been working there for 41+ years. I also hope to have many more years with the company. The changes the past have been amazing and the Gulfstream brand only gets better with each new product. I’ve worked for Grumman, Grumman American, Gulfstream American, Gulfstream under Allen Paulson, Gulfstream as part of Chrysler, Gulfstream under Teddy Forssmann, and now with Gulfstream under the care of General Dynamics. I can say that General Dynamics and Gulfstream make a great team. Wow, 41 years! That’s almost unheard in any industry these days. I bet you could write a book about all you’ve seen and experienced at Gulfstream. It must be hard to imagine that there was a time when the company had only one product line! Stephen, you remember my Dad? 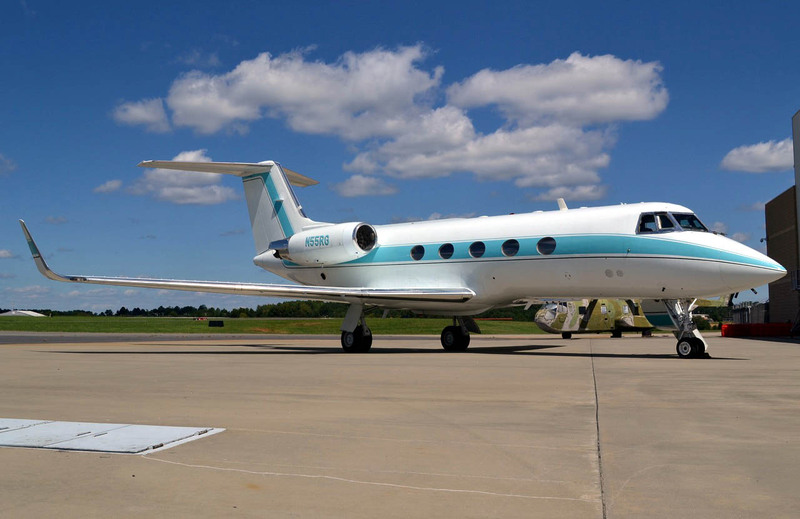 Great article Ron, as an A&P who has worked many different models of Gulfstream’s from the G l through the G lV they are all built like tanks. After working on different manufacturer’s models of aircraft the last several years I appreciate the engineering that went in to the Gulfstream airframe. Keep up the great work. Mark, do you remember my Dad? Thanks, Mark! It speaks volumes that the basic airframe design they built half a century ago is still selling well today. The technology has advanced, but that initial engineering has stood the test of time incredibly well. Bob I remember your Dad very well. Great man to work with . Ron I worked on at least 1000 ASC’s while I was there. That included light aircraft, AA1, AA5’s and GA7. The ASC for the APU deflector wa ASC 263 . Thanks Ivan, I’ve moved back to Sav since retiring from the San Antonio Fire Dept. So great to see some of my history. So many stories, successes and failures alike, yet the bonds of those original men like yourself still remain as if were yesterday. Thank you, Sir! Bob, it seems I can remember going to your dads house with my wife to see some paintings . I forget what the party was for .. Yes Ivan, I’m sure you did! My brother Pat is a pretty accomplished artist/painter/sculpter now. He also is a copywriter for the Johnson Group (ad agency for Conoco, Krystal, many others) hey, here’s my email. I’ll catch you up! Hi, I’m reading this thinking must read to Dad… (Arthur Thompson). He is still alive and kicking although slowed down… He has lost most of his vision to macular degeneration and is very hard of hearing, but his mind is strong. Thanks for your post! Patsy how well I remember your Father. I was in the Engineering department with him in the early days at Grumman/ Gulfstream. My fondest memories are sailing on Tuesdays Child . Please say hello . I had the pleasure of flying GII, GIIB And GIII aircraft 30 plus years.. I received my type rating Easter sunday morning april 1977. They never let me down. I am reminded that all GII war stories start with ” there I was at 40 West and”. I go to the Charlotte hangar and looking forward to seeing her again. Rob – Between my sophomore and junior years, in 1967, I had I had a summer job at Grumman in Bethpage. I would spend most of my lunch hours watching the flight line activity. One of my biggest thrills was watching a G-II line up for takeoff and seeing a new Ford Mustang Mach 1 (hah!!) pull up next to the G-II. Upon release, both began to accelerate down the runway with the Mustang burning rubber and easily pulling away from the G-II for the first couple of hundred yards. Then, as the Speys finished spooling up, the G-II rapidly overtook the Mustang and by the time it rotated it was well ahead of the Mustang. Fun to watch. Another fun time was when an OV-1 Mohawk was landing and as it cleared the blast deflector the pilot went to reverse pitch and the aircraft dropped to the runway with a roll-out of maybe one or two aircraft lengths. Thanks for this interesting article. I am a volunteer docent at Carolinas Aviation Museum and have been a fan of the GII since the first one I saw in the late 1960s. My Father was Chief of Maintenance for Mobil Oil when they were still based at HPN and I had the opportunity to ride jumpseat a few times. Does anyone know the status of Harvey Bullis, he was the Rolls Royce rep at SAV for several years. Prior to that he worked with my Dad at Mobil. I haven’t seen or heard from Harvey in over 10 years. I just found your blog after doing a web search on N55RG but I’ve spent hours reading various articles. Very interesting stuff.